Where is the truth in the Election Process? Driving around town the past several weeks, one can hardly fail to notice the growing number of political signs that seem to multiply and compete for space at major intersections, parks and other public spaces as well as on private lawns in the run up to the election. They shout out the names of the candidates and the office they are seeking but tell you little if anything about what makes that candidate the best choice for that position. 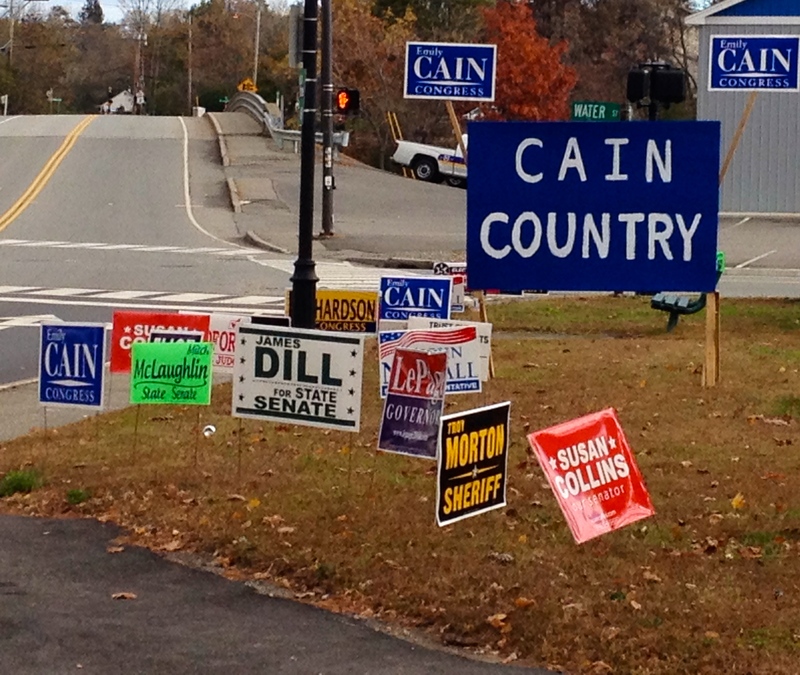 As annoying and unsightly as they may be, by Maine law they can only be placed within six weeks of the election and must be removed no later than one week after voting has taken place. And they are honest in their message, unlike political advertisements that flood the airways and arrive unsolicited in mailboxes and over the telephone. When I was growing up, it was often said that if something was advertised on television or radio or presented in print it must be true. But that wasn’t necessarily the case then and it is even less so now. I had a very good social studies teacher in high school that warned us to be wary of believing everything we hear or see. She advised us to think logically, research the evidence, and make a decision based on facts rather than just following the crowd like lemmings. With relatively easy access to a whole wealth of information via the internet, finding the truth should not be nearly as difficult these days. Yet often our lives are so busy that instead of investigating for ourselves we rely on what we hear on the news, talk radio, or advertisements to make our decisions on who to vote for or what issues to support. The problem is that what is labeled as news may in fact be biased toward a particular political party or position based on station ownership or the will of major advertisers. The same is true of newspapers. And both have been known to disguise opinions as facts. Political Talk Radio is a whole different animal. With the repeal of the Fairness Doctrine in 1987 that had required radio broadcasts to be “honest, equitable and balanced” the door swung open for partisan political programing that is more driven by entertainment than accurate information. Probably the worst offender of truth in advertising goes to the producers of the seemingly endless political ads that flood the airwaves each election cycle. Whether they be positive, or of the attack nature, there is no law that says the scripts of these ads must be true. Consequently, the primary objective is to advance the candidate or cause that the commercial supports, honesty be damned. Fortunately, in less than a week, this election will be over and so too will be much of the political signs, negative energy , bias, and even outright lies that have become a hallmark of elections. That is until the start of the next election. This entry was tagged elections, Fairness Doctrine, honesty, political basis, Talk Radio, truth in advertising. Bookmark the permalink. « Time to cut the cord?